RR and I love to travel. We love re-visiting our favourite spots over and over, as well as seeing new places for the first time. For us, one of the best things about travelling is the opportunity to try new things. Sometimes this can be as mundane as trying a new food, other times it’s a new activity, like when we went to Japan and learnt the technique of roketsu, or wax-resist dying, or Catalan cooking on Barcelona. But in Barbados it was cricket. Like many Brits, cricket forms part of the backdrop to my childhood. Dad was always watching the cricket on the tv, or listening to Test Match Special on the radio. Cricket scores were ever-present on the evening news and in the newspapers. And, of course, there were always the summer-afternoon matches on the village green. But until this week, I had never even watched a match on the television, let alone in person. Whilst RR and I aren’t exactly fanatical about sport in general, we do love to watch baseball (a legacy from our time in the US). And to be honest I had always considered baseball to be the exciting and fast-paced relation to the interminable cricket matches I vaguely remembered from my childhood. When I thought of cricket, I thought of matches that seemed to go on for days and days without anyone actually winning. Dull or what?! Then we came to Barbados, and all that changed. Just before we left to come on holiday, RR realised that England would be playing the West Indies in the final match of a 20:20 series on the day after we arrived. 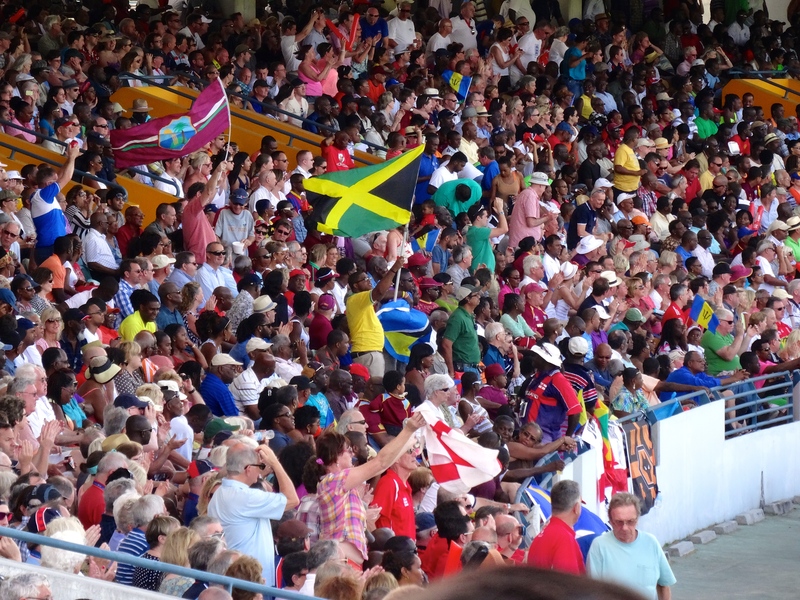 Given that cricket is so popular in Barbados, we thought that it would be sold out, but we contacted our hotel on the off-chance to enquire about availability. The upshot was that the wonderful Mr J offered to pop into Bridgetown on his day off to pick up a pair of tickets for us. We were more than impressed – I mean, can you imagine anyone taking the time to do that in England???! And so, on the Thursday morning, 2 cricket tickets were delivered to our breakfast table, and a mere four hours later, we were at the Kensington Oval cricket ground in Bridgetown. 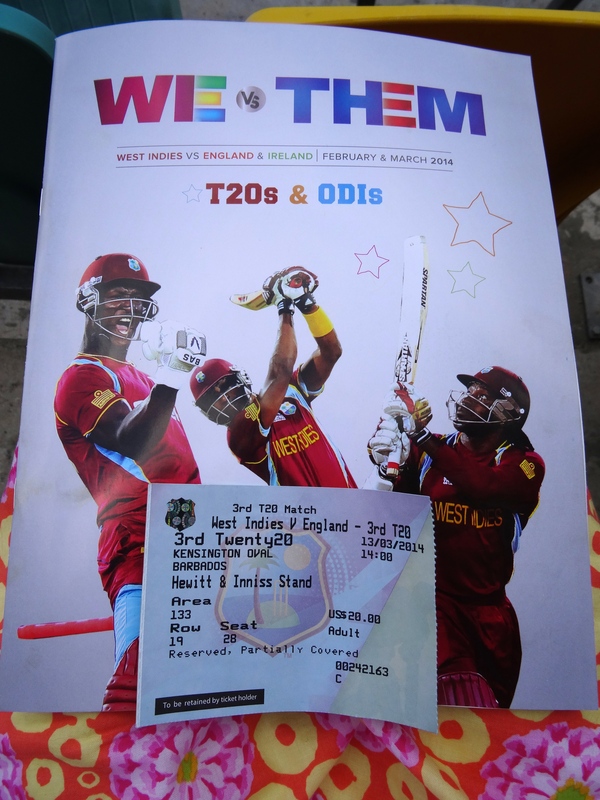 It was hot and sticky, and we were in what seemed to be the cricket equivalent of the bleachers, surrounded by fans of all ages, from well-behaved and immaculately turned-out school kids through to excitable 70-something grandmothers shouting abuse at the umpire. England won the toss and elected to bat first, and so began an wonderful afternoon. I have to admit that I couldn’t quite manage to follow all the rules, and cricket-terminology still leaves me totally stumped, but even I got quite caught up in it all. 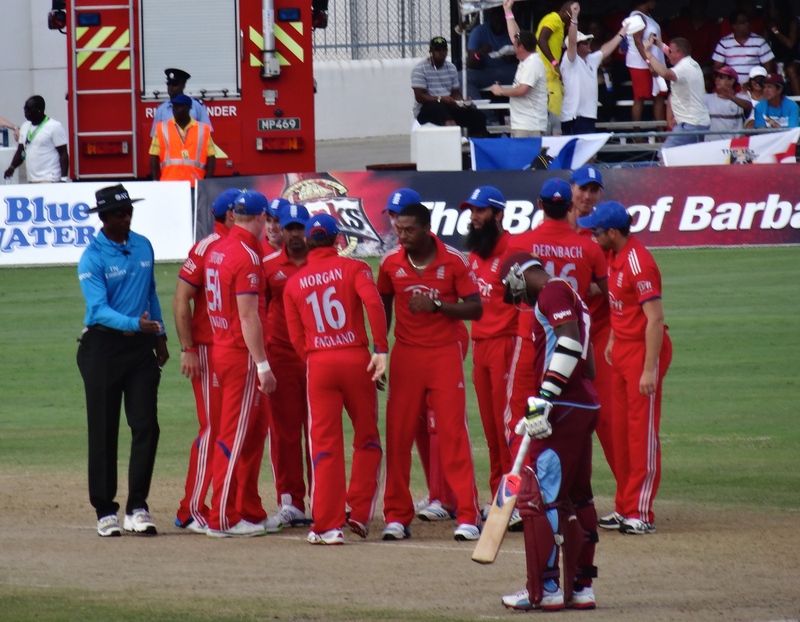 As the scores mounted, and the beer flowed freely, excitement reached fever-pitch, until the West Indies were left to score 6 from the last ball to win the match. They didn’t. England won. 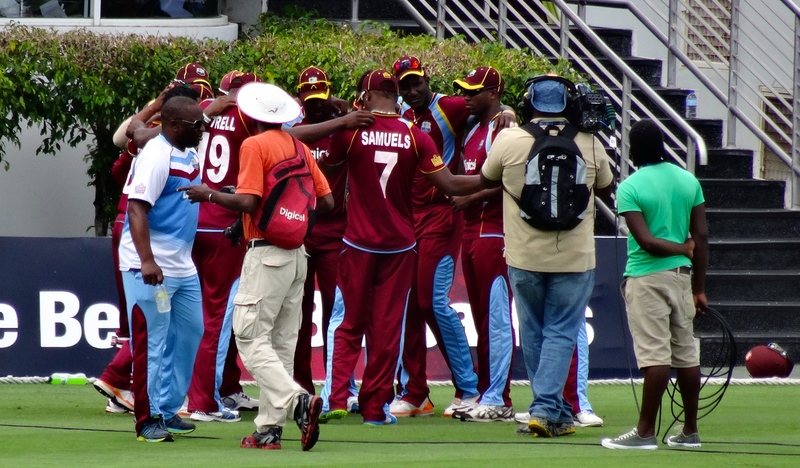 The visiting fans were ecstatic (apparently we don’t win very often…), the West Indian fans congratulating them, and happy chatter surrounded us as we made our way back out to meet our taxi driver. And I really enjoyed the whole experience. It was something totally new for me, unexpectedly entertaining and enjoyable, and, clichéd though it may sound, it made me feel like we connected a bit more with the real Barbados. Travel broadens the mind, as they say. And the cricket certainly broadened mine, challenging my cricket-is-boring prejudices. It was brilliant! And who knows, I may even go and watch another match some day. It makes a change from sewing in any case! What is it about travel making us do things we wouldn’t normally do at home? In the 6 months I lived in South Africa I went to 2 international rugby matches, a Grand Prix day, the Twenty:20 Cricket world cup and golf, never even thought of anything but the rugby at home, and I’ve never yet found someone to go to the rugby!